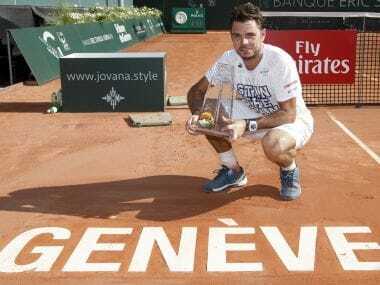 Geneva: Top seed Stan Wawrinka defended his Geneva claycourt title on Saturday, rallying for a set down to see off German outsider Mischa Zverev 4-6, 6-3, 6-3. The Swiss player's first trophy of the season gives the 32-year-old world number three a boost ahead of the French Open -- which he won in 2015 -- and where he opens against Slovak Jozef Kovalik on Monday. "I'm extremely happy to win my second title in Switzerland. It means a lot to me. This is the first time that my daughter is in the stadium when I win the title and that makes it even more special," said Wawrinka. 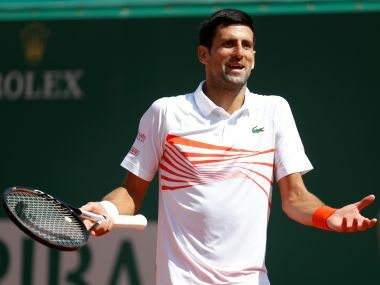 After losing the first set to qualifier Zverev, the older brother of Alexander Zverev who stunned Novak Djokovic in the Rome Masters final, three-time Grand Slam winner Wawrinka needed 2 hours 20 minutes to seal victory. "The level was great today, I think it was a great final. 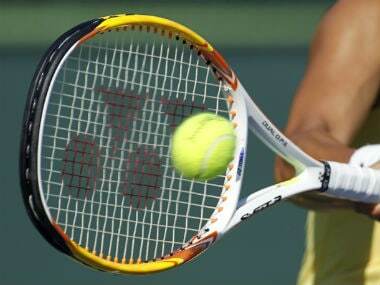 Mischa was playing very well and maybe I was hesitating a bit in the beginning," said the Swiss player. "I'm happy that I came back strongly in the second set and managed to turn the match around." Zverev, 29, had been bidding for his maiden tour title in the 33rd-ranked player's first final appearance in seven years. 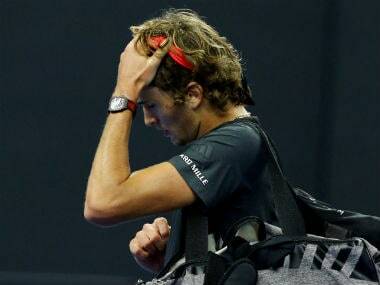 "It was a great week for me here‎ in Geneva," said Zverev. "Playing on clay is usually not easy for me, but I really felt great here and reaching my first semi-final and final on this surface."